Yarmouth resident Tony Cataldo has been surfcasting on the Cape for most of his life. 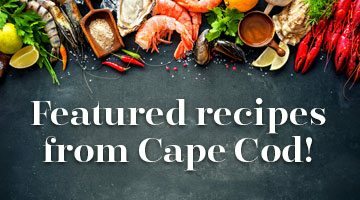 Growing up on the Outer Cape, with the backside beaches as our backyard, our mother was routinely acknowledged as the most avid “fisherwoman” on the beach. We would wake in the morning to find her casting out against another sparkling summer sunrise. One story in our family lore recounts her pulling in a 40-pound bass one day, with only my two-year-old brother in tow. With the fish still running, she couldn’t help but cast out again, this time pulling in a 32-pounder. Now the dilemma became apparent about how to get the fish and the young child up the mountainous sand dune. After thinking things through, she decided to ascend with the larger fish first and leave the toddler tied to the 32-pound anchor until she could quickly return for both. That kind of single-minded passion is common among anglers, but perhaps never more than in the surfcasting community. Tony Cataldo has been fishing the waters of Cape Cod for almost 60 years. His reputation for success and knowledge of how to fish this region has become legendary among both friends and strangers. The outer beach of Race Point has become his favorite destination, not only to indulge his fishing addiction, but also to unplug and reconnect with the unique community that convenes for a weekend of serene solitude. Cataldo, a recently retired Yarmouth resident, talks about the restorative power of the quiet beach, the close-knit community and the thrill of catching fish. Over the years, Cataldo, and his entire family—his wife, son and daughter—would make the trek to the outer beach every weekend for more than half the year. For years, Cataldo recalls, the National Park Service restricted the number of self-contained vehicles to a maximum of 100 at any one time. And permits were only good for 21 nights, thus avoiding a monopolization of space by long-term campers. The highest number of permits sold in one season topped out just over 300. In addition to the popularity of the beach as a destination was the pursuit of fish—record-breaking fish—particularly at the beginning of the millennium as fish like striped bass and cod came back after a downturn in the last two decades of the 20th century. Cataldo says he and his buddies would pull in fish, night and day, all the while feeding their passion to pursue the next catch. Those who truly know Cataldo know that his fish stories are the real deal. On a recent trip to the outer beach, Cataldo spoke about the understanding of “structure” under the water. “You are constantly looking for some kind of structure. Structure can mean a dip in a sand bar as little as a foot in depth, and the fish can be attracted to that change.” These holes, bowls and bars attract bigger fish looking for baitfish or sand eels that emerge from the surrounding waters and currents. “You drop a metal lure down off of one of those structures and it should work out pretty well for you,” Cataldo says, with a twinkle in his eye. The iconic activity of surf fishing on the outer beach has undergone an astounding change in recent years. In part due to protection efforts of two wildlife species—the piping plovers and the seals—the memorable years of surfcasting appear to be behind us. Access to the beach is controlled and limited when the plovers are nesting and hatching. When the beach is closed, that means no Over Sand Vehicles, or “buggies” as the locals call them. The explosion of the seal population has resulted in thousands of seals along our local coasts. Instead of running the seal gauntlet, the baitfish and the chasing stripers, blues and other desirable catch have apparently chosen to stay farther off the shoreline. Most seasoned fishermen can recount stories of fish being taken right off a hook by a pugnacious seal.